September 18, 2017  On River Run Thee, Roberts immerses herself and the listener in a history of anguish, and channels it all into a magnetic unity, a postmodern opus. 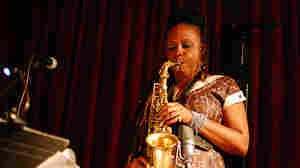 May 14, 2008  The saxophonist and composer grew up in the Windy City hating the avant-garde jazz that her father played. Now based in New York, her new album embraces her Chicago roots, as well as her "daddy's crazy music." 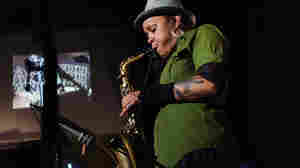 July 27, 2011  She's already one of the most imaginative saxophone players in jazz today. But Roberts' new album challenges even that reputation: It's a musical patchwork spanning decades of history and memory in the lives of 18th-century Louisiana "free people of color." June 24, 2010  For the alto saxophonist, music helps tell the complicated story of her family. She presented a project inspired by genealogical research at the Jazz Gallery as part of the CareFusion Jazz Festival New York. Hear the performance.